Our practice is guided by strict guidelines and standards of performance. We aim to maximize our clients’ recovery while delivering results in a reasonable amount of time. If you are seriously injured in a bus accident, time is of the essence. Accidents involving buses are different than those involving only personal passenger vehicles. Bus accidents are often very complex and there are many moving parts in regard to the dynamics of the crash, often making preservation of the scene, the bus and other physical evidence very important. 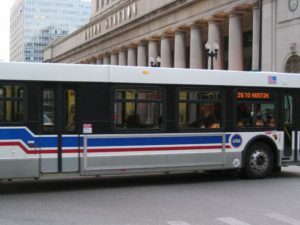 Because of these many regulations, in order to preserve the proper evidence, an attorney may need to immediately send notice to the bus company so that evidence will not be destroyed or deleted. Such evidence can include footage from onboard cameras showing what is going on inside and outside of the bus as the time of an accident; log books; the bus company’s training protocols; and the presence (or lack thereof) of seat belts. The preservation of all of this evidence is crucial to any case. If you or a loved one has been seriously injured in a bus accident, or if a loved one has been killed in a bus accident, our experienced bus accident lawyers are always available for a free consultation. *Certain cases received by The Salazar Law Firm, PLLC may be referred to other attorneys we know and trust. In most cases, The Salazar Law Firm, PLLC will remain actively involved in your case.